Ever since Rex, already a professional ballet dancer at eighteen, had complimented her on her gracefulness and asked for a date, Cathy Darfield had dreamed only of dancing with him. Rex's dancing seemed inspired and excited her imagination. Now Cathy knew that the ballet was the career she too wanted to pursue. If she hadn't been able to vacation at her Aunt Faith's, Cathy would never have had time to think about being other than a "mother hen"--a role she had had to assume when her mother died. The four youngest Darfields were in camp, and only her twelve-year-old sister, Bettina, was with her. So for this vacation time Cathy was free to dream, to practice her plies and jetes in anticipation of Rex's dates when they would dance together, and to plan a career. 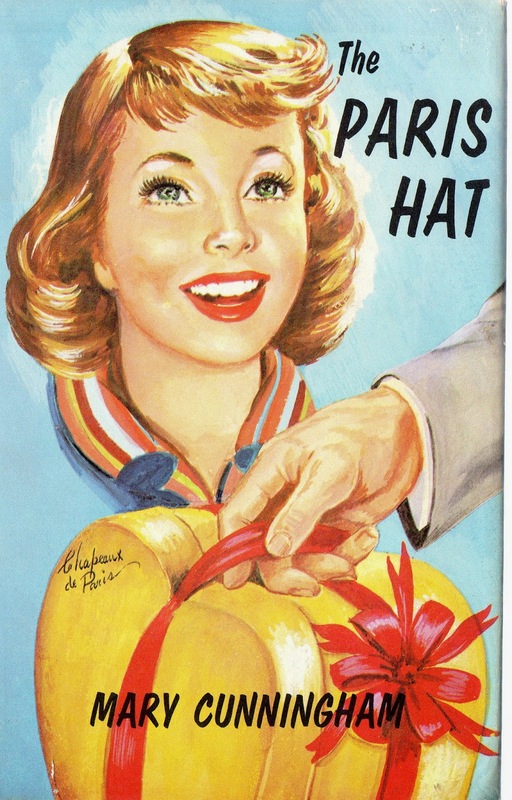 All that was fine until the day a delivery boy arrived with an unexpected, golden, heart-shaped box from Chapeaux de Paris containing an enchanting hat for her beautiful young aunt. The gift could come only from her husband, and implied that Uncle Pat was returning from a diamond hunting venture in Africa and would soon be back in San Francisco. Two years ago another Paris hat had preceded his return from the Air Force, so it looked as through this significant present must be announcing his homecoming. Aunt Faith was stunned, Grandmother furious, and Bettina agog. But Cathy was worried about the family scene Uncle Pat's impeding arrival might touch off at the exact hour Rex was due to meet the family for the first time. A hidden letter, prowler's footprints in the garden, and other curious happenings further complicated matters. Uncle Pat was notably undependable--Grandmother wouldn't let Aunt Faith forget that--but why should he be so mysterious?